When it's going to be JUST THE TWO OF YOU! If you are planning to get married, think about this, make it all about the TWO OF YOU. No big reception, no hassle, no stress, no conflict and no guests - just the two of you and the Great Smoky Mountains. Just the two of you enjoying each other, saying your vows, having portraits taken and enjoying the beauty of nature and all of the adventures you can find in the area. If you are eloping and want things to be simple - we are glad to take care of all the details. These packages were created for those having no guests and simply want to pick up the phone and have us take care of everything.. If you are having just a few guests and up to 40 family members and friends... please check out our Wedding Packages that include guests. Location may vary depending on availability but all studio cabins have a kitchenette, Jacuzzi tub, fireplace and private outdoor hot tub. Candlelight Ceremony for two: 1 hour reservation with our ordained minister. Does not accommodate family members/ guests. Our Ordained Minister (15 minute reservation). In most cases we perform GET ER DONE weddings in our rustic, outdoor wedding arbor located on a secluded location on the Chapel grounds. Arrive dressed & ready to: "Say Your Vows and Be Married"
Please note: no cameras/ cell-phone cameras permitted on the property at any time. It's an "UNPLUGGED" Wedding. For our 30 minute wedding reservations: These would be our ,Sneaking Out, Waterfall Wedding and Mountain Magic Wedding. Everyone, including the wedding couple, must arrived dressed and ready to meet the minister and the photographer when you arrive. These are more casual weddings without the traditions of our larger wedding packages. These weddings do not include music, a processional, escorts, a bridal party, flower girls/ ring bearers, family ceremonies, etc. 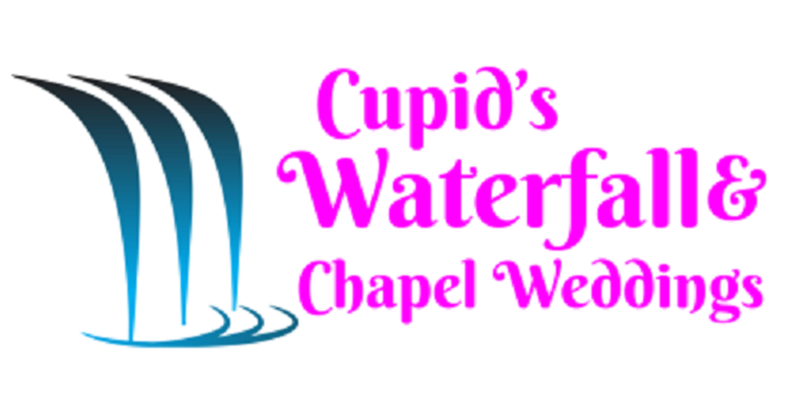 For a more traditional wedding with music and other traditions, please consider our 1 hour wedding packages.